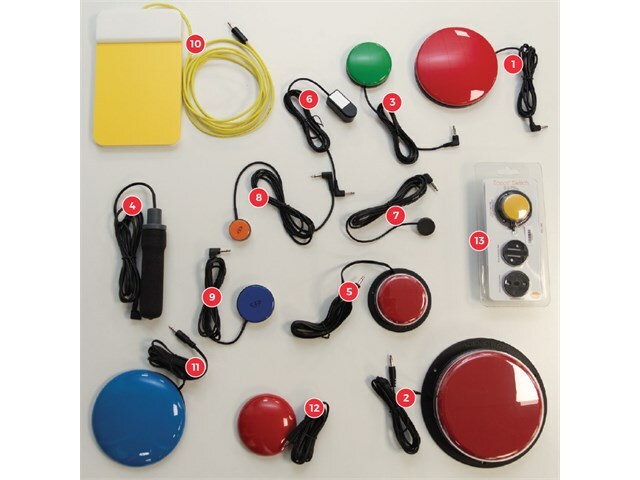 The standard switch kit includes a variety of wired button switches and more, incorporating a wide range of sizes, shapes and activation pressures to accommodate the requirements of most switch users. Our switch kits provide the opportunity to try a variety of switches with learners and determine the best solution for them. Bringing together our most popular standard switches, this must-have kit includes everything from a Specs Switch through to a Big Red Twist. Supplied in a handy plastic box, this kit is a really useful resource for any classroom or centre. 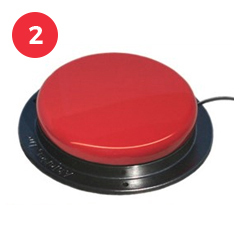 The Buddy Button is a reliable, durable, colourful switch, with auditory and tactile feedback. Size: 115mm. Read full product description. 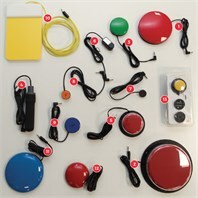 The Big Red Twist Switch offers a 125mm activation surface with tactile and auditory feedback and interchangeable red, yellow, green and blue switch tops. Read full product description. 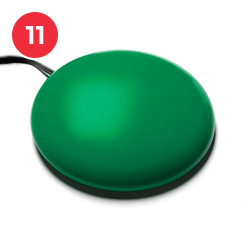 The Buddy Button is a reliable, durable, colourful switch, with auditory and tactile feedback. Size: 65mm. Read full product description. 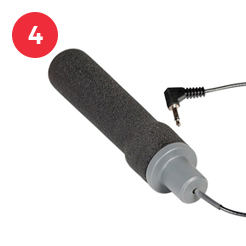 The Grasp Switch is a single switch that can be held in the palm of the hand and operated by squeezing the rubber hand grip. Read full product description. 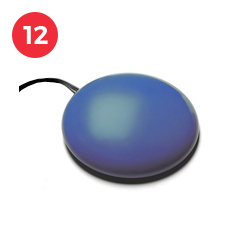 The Jelly Bean Twist Switch offers a 65mm activation surface with tactile and auditory feedback and interchangeable red, yellow, green and blue switch tops. Read full product description. 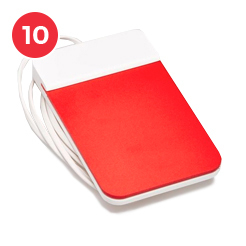 The Micro Light Switch is a very light touch switch for those who have limited movement. Activated by pressing down on the top surface with a feather light touch. Size: 13mm. Read full product description. The Mini Cup Switch is a very small switch which is suitable for people with good targeting ability. Size: 25mm. Read full product description. 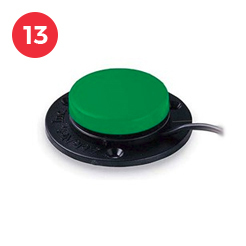 The Piko Button 30 is an extremely durable, small button switch. Size: 30mm. Read full product description. 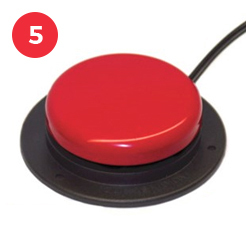 A larger version of the robust Piko Button switch. Size: 50mm. Read full product description. 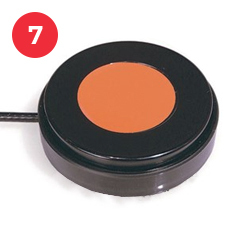 A slimline switch which is activated by pressing the brightly coloured plate. With an overall height of 10mm, the large surface plate requires very little pressure, ensuring ease of use. Read full product description. The Smoothie Switch has a low profile surface and is angled towards the learner to make it really easy for those with limited movement to press. Size: 125mm. Read full product description. A smaller Smoothie Switch which has a low profile surface and is angled towards the learner to make it really easy for those with limited movement to press. Size: 75mm. Read full product description. 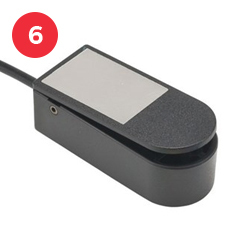 The Specs Switch is a small responsive switch which is easy to mount. Size: 35mm. Read full product description. Please note that switch colours may vary. See http://www.inclusive.co.uk/hardware/mounting-options/switch-mounting-solutions for switch mounting options.